Hello sweet crafters. I'm sure that many of you will, like me, have a stash of card panels that you have created whilst experimenting with different mediums and put aside in order to 'make a card with it' and never got round to it. Today, I thought it was high time I started to actually use some. This card is made with a Brusho piece that I had sprinkled some Brusho on and then spritzed it with water and this was the resulting panel. I topped the card off with a die cut border piece, stamped the words, added a few rhinestones and spritzed lightly with a home-made shimmer spray and called it done. Here it is (I don't know why but lately all my plain, white card-stock has ended up with a very slight magenta caste, well, on my monitor anyway), you can see it quite clearly in picture number two here, anyone have any answers for me? Lovely card ,pretty n simple ! Try editing the color balance.I do it in photoshop. Nice "stash" to have :) sure made a pretty card! Glad to see I'm not the only one concentrating on using up those bits ~ until we see another squirrel, right, lol! You've made a beautiful thank you card! 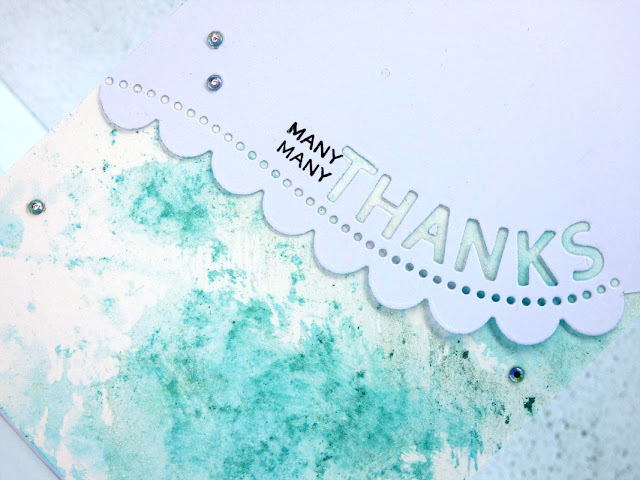 Love that Brusho background and I have put that scalloped thank you on my Wish List after seeing it used somewhere. I love it! After seeing your card, I'm going to move it out of the Wish List! As for the magenta shadow, I notice that happens to my cards (or a bluish shadow) when I overexpose it when editing. That's all I can think of, but not sure that's the answer. Don't worry about it, tho, Hazel, I never would have seen it if you hadn't mentioned it! Lovely use of your panel Hazel. This is so softly lovey. 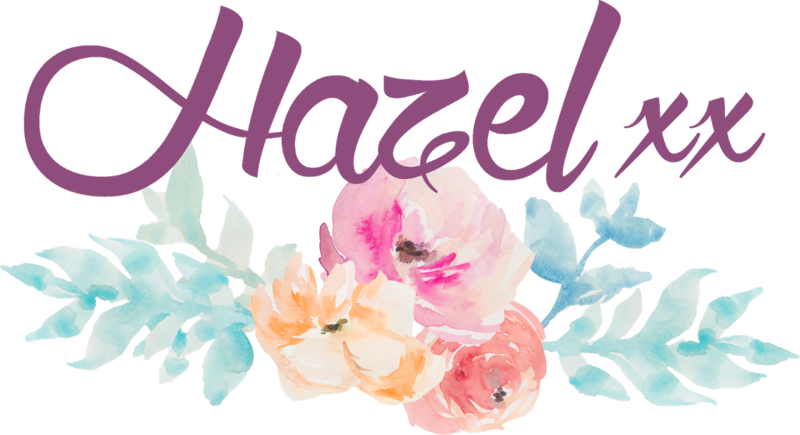 This is a beautiful piece of Brusho, Hazel! I love that curves edge and the cut out thanks! You've made a perfect home for this piece! It looks white to me. Lovely card! I need to get my Brushos out again. They're so much fun to play with. Your card has inspired me!!! Brusho's are calling to me now, Hazel. Haven't played with mine for a while!